In my quest to add summer decor to my home, I decided to make some burlap decorative pillows. 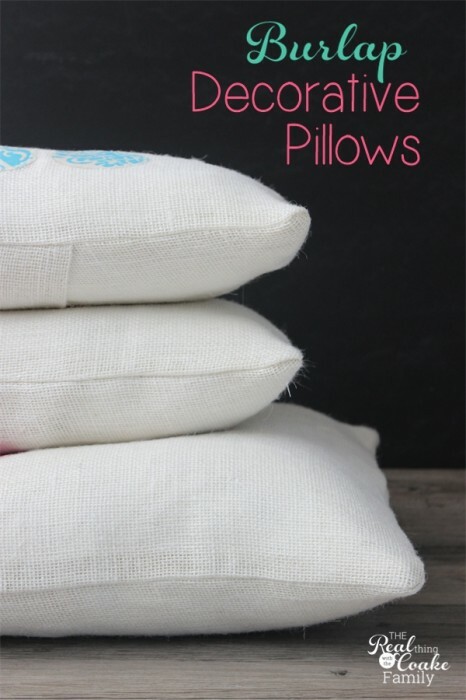 No matter what fabric you choose, these pillows are quite easy to make and can be made for any season or for everyday. 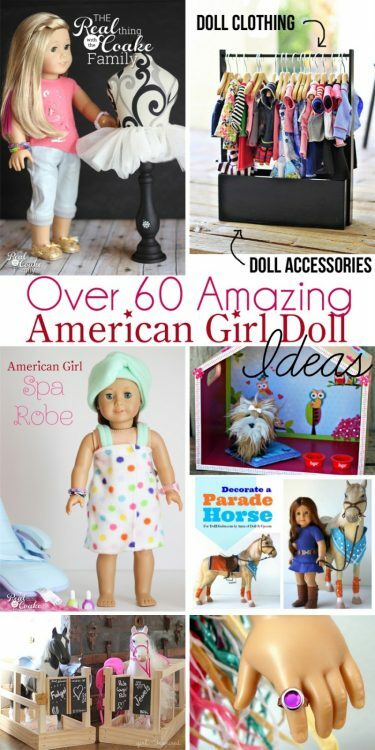 You ready to add some fun to your pillows? Let's do this thing! Start by measuring your pillows. For the front panel, you will want 1 panel. 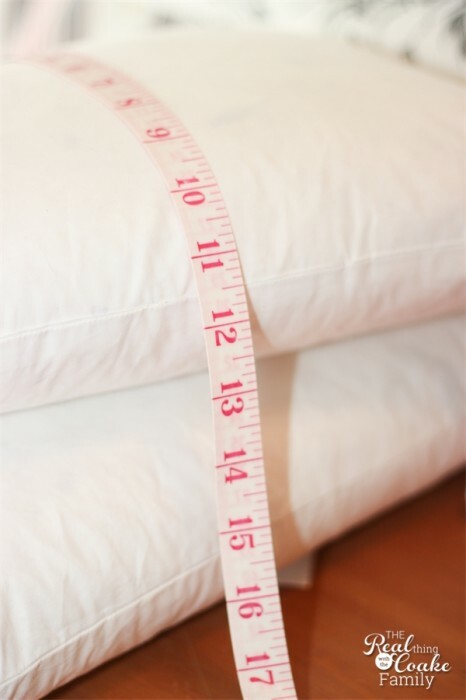 To get the correct measurement, add one inch each to your length and width to allow for 1/2 inch seams. The back panels will be half of your width plus 3″ and 1 inch added to the length. 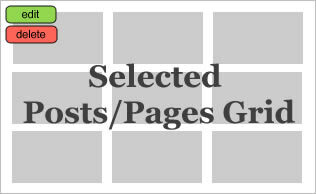 You will need 2 of those panels. My pillows are 11.5″ x 16″ and 15.5″ x 24″. I cut 1 panel at 12.5″ x 17″ and 2 panels at 12.5″ x 11″ for the smaller pillow. I cut 1 panel at 16.5″ x 25″ and 2 panels at 16.5″ x 15″ for the back panels of the larger pillow. 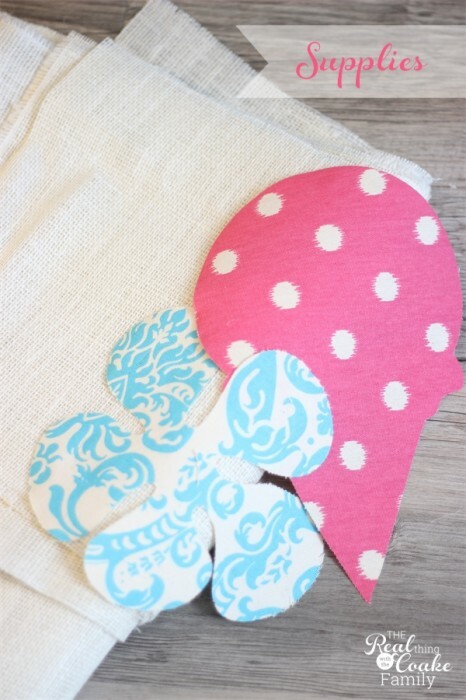 Apply the applique to your pillow before you do any of the sewing. Top stitch or use a zig zag stitch around the applique. I showed you how to cut an applique out of fabric very quickly and easily last week. I used Heat n' Bond to apply my appliques. The Ultra Heat n' Bond says not to sew on top of it. I have done it a couple of times now. It does gunk up the needle, but I haven't had any other issue with it. I found that I had to sew the appliques in addition to the Heat n' Bond on the burlap. It just wasn't going to hold on the burlap. 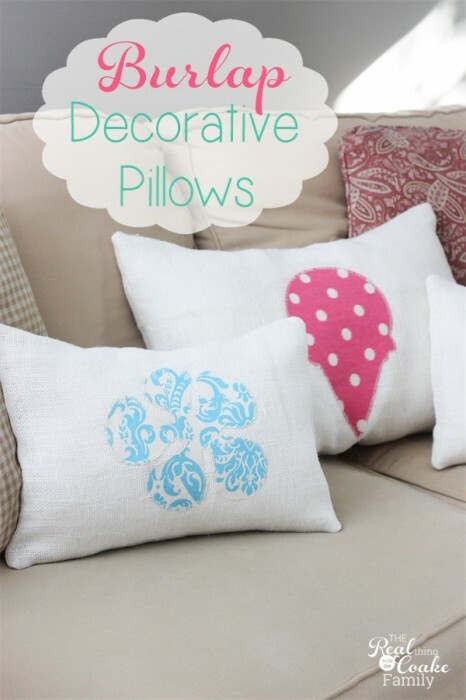 For the rest of the pattern to make the pillows, I have a full tutorial in another post I did on decorative pillows. Rather than repeat all of that again, you can visit that post. I followed those directions exactly for making these pillows. Just remember that if you are working with burlap, I recommend that you set your stitch length to a shorter stitch. I felt like the burlap needed it to hold it together well. There you have it. 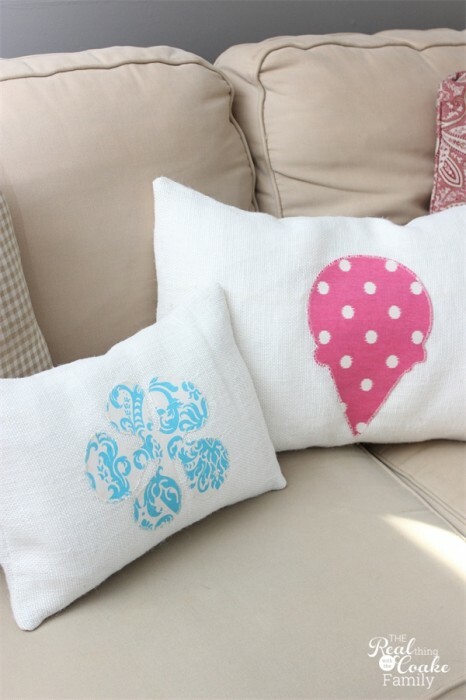 Cute summer pillows for the couch! Great addition. The fabric I used matches the summer letters I made out of paper mache letters and goes with my summer mantel. I really like the addition of the pillows for the season, but I wouldn't use burlap again because it is too itchy. These pillows are gorgeous. I’m sure the burlap adds a layer of texture to the area. I do love that it’s white burlap. I’m not sure I’ve seen that before. Very pretty!